The Israeli occupation forces (IOF) at dawn Wednesday arrested Palestinian writer Israa Lafi from her home in Surif town, northwest of al-Khalil province in the West Bank. Local sources told the Palestinian Information Center (PIC) that Israeli troops encircled Lafi’s home in the central area of the town before ransacking it and confiscating her cellphone. The sources added that an Israeli officer told her that she would be arrested and taken to Etzion detention center, north of the town. 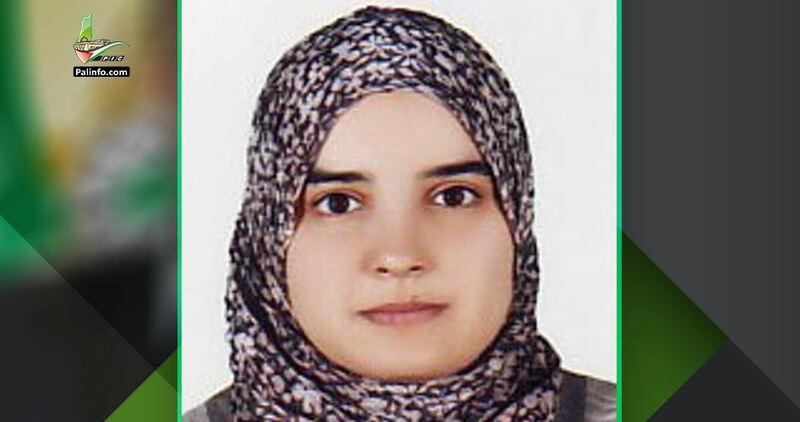 Israa Lafi is a noted writer in the Palestinian arena and an advocate for the Palestinian prisoners in Israeli jails, and actively works in the media field. Israeli occupation forces (IOF) on Wednesday arrested a Palestinian child while escorting dozens of Israeli settlers who stormed the Old City of al-Khalil. Local sources said that the IOF arrested Mustafa al-Qawasmeh, 14, in the Old City and transferred him to an undeclared destination. Dozens of Israeli settlers stormed and toured the Old City of al-Khalil under the protection of IOF soldiers. In a related context, the Ibrahimi Mosque in al-Khalil is still closed for the second day in a row for Jewish holidays. On Monday September 24th Israel’s occupation forces attacked the ninth attempt to break the naval blockade of the besieged Gaza Strip from the inside, killing one protester in the northern border with ethnically cleansed Palestine 1948 and injuring 90 people, of whom 10 were shot with live ammunition. 21-year-old Mohammed Fayez Abu al-Sadiq was shot in head and ‘very critically injured’; his death was quickly but erroneously announced, as the youth cling to life as he was taken to the al-Shifa hospital. There the efforts to save his life failed and his death was announced by 21:00 pm local time. Among the injured is photojournalist Muntaser al-Sawwaf who works for the Turkish Anadolu Agency. He was hit in leg with a tear gas canister and his camera was hit by a live bullet. One could be unintentional, both together imply that he was being targeted. An ambulance crew and their vehicle was also attacked with tear gas canisters when they were trying to reach some of the wounded protesters. Israel’s occupation forces’ tear gas drone was brought down with slingshots by youths, the third tear gas drone brought down during protests during the last month. Israel has not allowed a single Palestinian boat sail from Gaza to a port in another country since it occupied the small coastal enclave in 1967. The attempts to break the naval blockade from the inside are in their latest version an off-shoot of the Great Return March. HEBRON, PALESTINOW.COM — Israeli occupation authorities on Tuesday closed the Ibrahimi Mosque in al-Khalil city for Jewish holidays. Hefzi Abu Sneineh, who is in charge of the Ibrahimi Mosque, said that the Israeli authorities decided to close the Mosque and ban Adhan (call of prayer) on Tuesday and Wednesday for Sukkot holiday. Abu Sneineh told Quds Press that such closures, which are usually approved by Shamgar Committee which was formed following the Ibrahimi Mosque massacre in 1994, are a blatant aggression on the sanctity of the Islamic site. 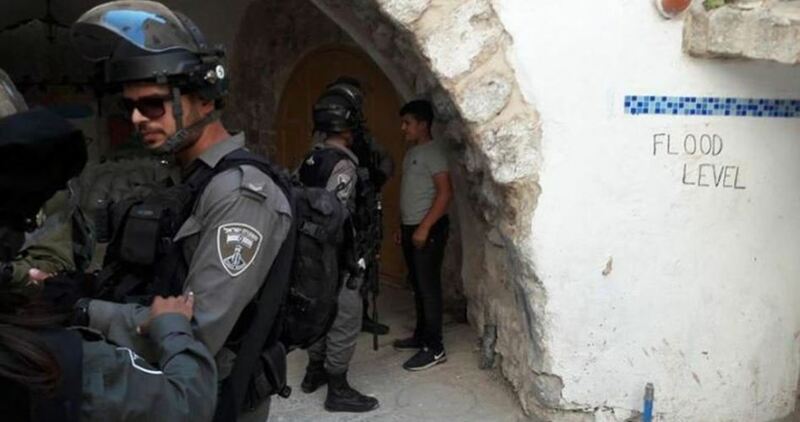 In a related context, the Israeli army deployed its forces in Bab al-Zawiya area in the center of al-Khalil city and forced Palestinian citizens to close their shops to secure a settler break-in into a nearby archaeological site. Farmers in the besieged Gaza Strip have harvested 12,000 tonnes of dates from their palm trees however they are struggling to find buyers for their produce. High unemployment and rising poverty rates mean locals in the Strip are unable to buy the fruit, while the Israeli siege has limited the farmers’ abilities to export their crop. Farmer Mohammed Barka, 28, told the Anadolu Agency that his yield is abundant and good this year, but the deteriorating economic condition in Gaza has caused people to buy less. “Despite the low prices of the product, the demand is still low,” he explained. Baraka, who has been working in this profession for ten years, called on the Ministry of Agriculture to work to export the produce out of Gaza. In a report published yesterday the World Bank warned that the enclave is “collapsing” due to the 11-year Israeli-led blockade and described the economy as being in “free fall”, with aid flows no longer enough to stimulate growth. “The result is an alarming situation with every second person living in poverty and the unemployment rate for its overwhelmingly young population at over 70 per cent,” it added. “The production of dates amounted this year to 12,000 tonnes,” said Tahsin Al-Sakka, director general of marketing and coordination at the Palestinian Ministry of Agriculture in Gaza. A week ago, farmers exported 12 tonnes of dates to the West Bank, Al-Sakka said. The total amount of dates exported last year reached 400 tonnes, he added. Palestinian factions yesterday stressed that Palestinian Authority (PA) President Mahmoud Abbas is heading to the UN General Assembly without national support. In a press conference held in Gaza, leaders from the different Palestinian factions stressed that Abbas cannot voice his opposition to the “deal of the century”, Judaisation of Jerusalem and internal Palestinian division “without taking actual steps on the ground”. Leader of the Palestinian Front for the Liberation of Palestine Badran Jaber said: “The absence of the internal support for the PA president makes him weak,” noting that Abbas “could have national support” before heading to the UN. Israeli occupation forces have killed two Palestinian journalists and wounded 254 in Gaza, and arrested 82 in the occupied West Bank since the start of the year, a report issued yesterday revealed. According to Quds Press, the report, which was issued by the Journalist Support Committee (JSC), said that it had documented 638 Israeli violations against Palestinian journalists since the start of the year. The JSC said that occupation forces killed journalists Yaser Murtaja and Ahmed Abu Husseinwhile covering the Great March of Return protests in the Gaza Strip. May, the JSC said, witnessed a hike in Israeli violations against the Palestinian journalists as 129 were wounded, mostly in Gaza. The report also documented 49 raids of Palestinian media offices, inspections and violations which saw equipment damaging or confiscated. “The Israeli occupation insists on targeting Palestinian media freedoms through its continuous attacks on Palestinian journalists without any international pressure,” JSC Coordinator Saleh Al-Masri said. The JSC is a non-profit organisation that promotes and protects media freedoms, freedom of expression, and journalists rights. It issued the report on the occasion of international day of solidarity with the Palestinian journalists. UN Agency for Palestine Refugees (UNRWA) has cut 40 per cent of the salaries of its employees, the Safa news agency reported yesterday. Reporting the head of the organisation’s Employees’ Union Amir Al-Mishal, Safa said that the Union reached an understanding with the UNRWA’s administration last month that it reverses plan to cut the salaries “but we were surprised with the cuts for the second month”. The head of the Union said: “This is a dangerous escalation by UNRWA’s leadership.” He pledged there would be escalation in the protests against the organisation’s policies. In July Palestinians in Gaza protests against UNRWA’s plans to suspend the contracts of around 1,000 employees working in emergency programmes. The workers were to face dismissal by the end of the year, Amal Al-Batsh, deputy head of the UNRWA Staff Union, said. UNRWA began 2018 with a shortfall of $150 million following a $126 million deficit in 2017, even before the US suspended its planned $125 grant. UNRWA has warned that US cuts will hurt over half a million children; the UN agency runs 700 schools. Some 20,000 teaching jobs are also said to be at risk, with the agency facing the worst financial crisis in its history. Construction rates for Israel’s illegal settlements in the occupied West Bank more than doubled in the second quarter of 2018. According to data published by Israel’s Central Bureau of Statistics (CBS), Israel began constructing 794 new dwellings in the occupied West Bank in the second quarter of 2018. This figure is more than double that of the first quarter, when 279 new dwellings began construction. This year’s figure is also higher than that of the same time in 2017, demonstrating an increase in the pace of Israel’s illegal settlement of Palestinian land. This year-on-year increase in Israel’s illegal settlement is also significant in light of the decrease in construction in many areas of Green Line Israel. Construction rates fell in both Northern and Southern Israel, as well as in Haifa when compared with the same time in 2017. Jerusalem on the other hand witnessed an increase in construction, despite the fact that Jerusalemite Palestinians are regularly denied building permits to construct houses in Palestinian areas of the city. ZERO building permits were issued by Israel in 2015 ! Although settlements were designated a “final status issue” under the Oslo Accords in 1992, Israel has pursued a consistent policy of settling the occupied West Bank in the 25 years since. In 1992 there were approximately 105,000 illegal Israeli settlers, according to data by NGO Peace Now. By 2017 Peace Now estimated there were over 413,000 illegal Israeli settlers, an almost four-fold increase. In September, the United Nations slammed Israel for having done nothing to halt settlement building. Speaking at a Security Council meeting, Special Coordinator for the Middle East Nickolay Mladenov explained that 2,800 housing units in the West Bank were recently approved by the Israeli government and emphasised that “all settlement activities are a violation of international law”. In September it emerged that Israel approved plans to construct 220 illegal settlement units in the neighbourhood of Jabal Al-Mukabbir, occupied East Jerusalem. Construction of the units is expected to start in the next few months and will serve as part of the expansion plan for the settlement of Nof Tzion, located alongside Jabal Al-Mukabbir. Israeli human rights organisation B’Tselem estimates that as of 2017 there were 208,000 Israeli settlers in the Jerusalem municipality, with this figure likely to have increased since then. The inhabitants of the villages near the outpost have become hostages to the policy that abundantly rewards prizes and gifts to ideological criminals. Although Israel differentiates between settlements and outposts, which do not have official government recognition, both are deemed illegal under international law which prohibits the transferring of civilian populations into occupied territory. The Israeli government has announced that it is allowed to “legislate anywhere in the world” and is “entitled to violate the sovereignty of foreign countries,” an official document revealed, last week. For decades, critics have declared that Israel has been acting against all terms and conventions of the international law, but, this is the first time that the Israeli government has officially declared it to be so. The statements were made in legal materials recently submitted to the Israeli Supreme Court, during which the government representative said that the Knesset is allowed to ignore international law anywhere it desires. The Israeli Supreme Court received this document in relation to the petition against the Settlement Regularization Law filed by legal groups Adalah, The Legal Centre for Arab Minority Rights in Israel, Jerusalem Legal Aid and Human Rights Centre (JLAC) and Al Mezan Center for Human Rights, which represented 17 local Palestinian authorities in the West Bank. The Palestinian plaintiffs challenged an Israeli law, passed last year, which aims to retroactively legalize thousands of settler homes and structures built on Palestinian private lands, to avert the possibility that the Israeli Supreme Court might one day sanction their removal. Before the law was passed, even Israeli law considered such structures illegal, not to mention that all settlements are a flagrant violation of international law. In its defense, government lawyer Arnon Harel said, in a statement in which he referred to the West Bank as “Judea and Samaria”, that “the Knesset has no limitation which prevents it from legislating extra-territorially anywhere in the world, including the area [of ‘Judea and Samaria’]”. In the statement, which is likely to evoke outrage, Harel rebuffs the legal groups’ claim by insisting that the plaintiff argument is baseless, because Israel is entitled to violate the sovereignty of foreign countries and the West Bank is no exception. 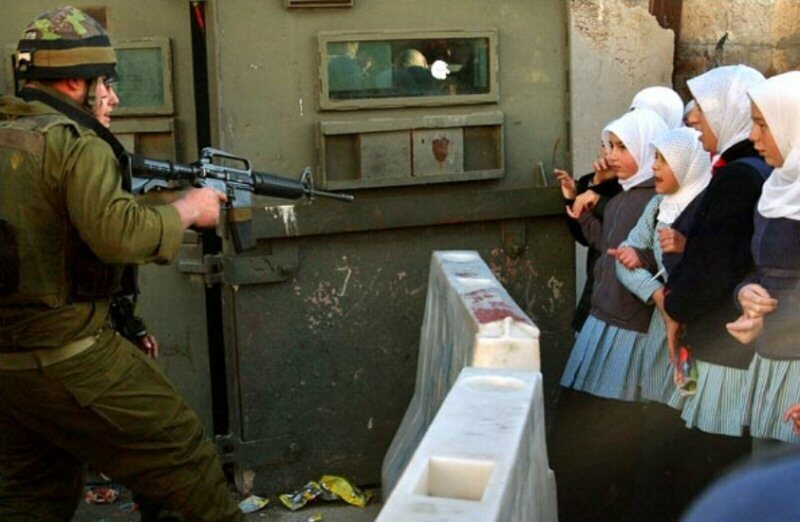 In their response, Adalah said: “The Israeli government’s extremist response has no parallel anywhere in the world. It stands in gross violation of international law and of the United Nations Charter which obligates member states to refrain from threatening or using force against the territorial integrity of other states, including occupied territories.